That's what I would go for if I could raise the capital. It would be people you would have to know and trust and be committed. Couple of school teachers would be ideal for me or people who hate the cold! That's you and me sorted for the winter shares then Howard. Now we just need to persuade Clive Richardson to sell us Swan Reflection. What about the private sort of syndicate? A small group of like minded individuals, purchase, maintain and run the boat between you. 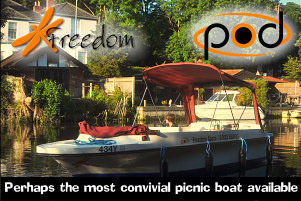 Have a look on www.boatshare.co.uk website under the personal adverts, there are people asking for other people to start a syndicate from scratch. I will get back to you with the information you asked for when I get some time. I have always held the view that we as a syndicate we should buy back shares for Thunder when an owner is keen to sell and the price reflects that. We could turn reduce the number of owners over time. However, not much appetite at the moment and one barrier is the management fee. The more I think about it, the smaller group seems the way to go. I believe Griff's 'group' includes family members and long standing friends. Even if four or 5 folk got together, self managed running costs wouldn't be excessive surely. I reckon that I spend about 2.5k annually for the equivalent of around 4 weeks hire. That would be 10 - 12k which would surely go a long way to covering operational costs. Plus a smaller group would have the potential to be more flexible and even come to an arrangement where members could be guaranteed 'cherished' holiday times or school holidays for example. I can think of one Broads loving couple who I could happily share with but have the advantage of knowing them well!! When I've looked into the running costs of a lowliner it's worked out at about 3 to 4k a year and that was if it was moored at Swan craft. Between 5 people that still works out less than 1k a year so cheaper than what I pay at the moment. Less people should surely mean things can be organised a lot easier and greater choice of weeks available. Granted at winter maintenance costs will need to be included but I think a lot of things could be planned ahead with a fund in place so not to feel it too much. You may well find that your perceived running costs might be on the low side. you have to take into account, mooring costs, river toll, insurance, breakdown insurance, servicing costs, renewals and replacement costs. 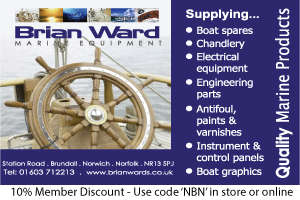 To give you an idea our operating costs for 2018 were just under £20,000 because of upholstery and bow thruster renewal costs which added over £7,000 to our normal budget. I've attached a document I made of all the costs I could think of to running a lowliner. Under no illusion that having a boat whether on your own or as part of a small or large syndicate can be expensive at times but a 20k w/m budget isn't the norm either. Like I said for most things you can plan ahead while always having a reserve for disasters. I think you might need to add routine servicing, gas, possible costs arising from a break down call out and maybe a repair fund for major renewals which may occur in the future. The basic costs look very similar to Paul's calculation when I asked him a while back. Sorry I should have stated that was just the basic costs to have a boat floating in the water. Would be interesting to know Griff as you have the only sort of private syndicate boat I know of whether what I stated for the expenses is anywhere near what it costs yourselves to run the boat. Obviously I didn't put down the costs of winter maintenance or things like gas bottles and valets. Although with Thunder she is probably out 40 weeks a year so probably has higher costs as a result but spread between 12.5 owners. Doing work yourselves is okay if you have the skills and expertise amongst the owners but don’t forget those owners can sell up and move on. My suggestion would be that if 3 or 4 of you want to buy Into a Syndicate and take it down the self managed route then all buy into the same syndicate and then vote together accordingly. I imagine most syndicates are probably around the 60/40 for self managed so probably quite easy to swing the vote. £40k for a lowliner is very cheap. If you wanted a decent one, you should be looking for a boat with a fully recon engine at least. preferably new, the same goes for the gear box, central heating system, and all major mechanical and electrical systems etc. The reason being that systems that are around 20 years old have a habbit for breaking down, and will cost you dear in unscheduled maintainance or replacement, so any boat you buy for syndicate use would realistically need to be FULLY reconditioned in all aspects, and you won`t get a fully reconditioned lowliner for anywhere near £40k. Thunder is a great example. When she was taken out of hire, she was fully refurbished by Brooms (or so i believe, but stand to be corrected?) and shares were initially sold for around £8,000 each. However, Now she`s had around 6+ years of syndicate use, the shares are now around £6,500. When shares were up around the £8,000 mark, that would equate to a value of £100,000, however, now the share prices are down to around £6,500, that puts the value down to around £80,000. That said, i don`t mean any offence against the Thunder syndicate I`ve just used that as an example of how age and use etc can drive down values. Pleased I started this thread there's been some interesting replies. Kris cruiser s put one of their lowliners up for 39k a few years back and I was always of the mind a ex hire boat from a reputable yard would be a good starting point knowing it's been regularly services and maintenaned every season. 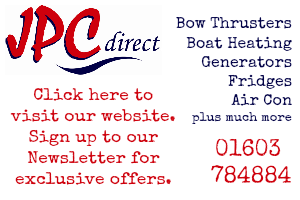 If it's not worth syndicating a used boat why would you ever buy a boat on your own that hasn't had the works done to it unless you're after a project. Yes fully agree and no offence taken, shares have gone for even lower in last years or two . I was using the e.g. of how even a low priced low liner would not necc equate to a cheaper individual costs for lower nbr of owners. Thunder was indeed refurbished some 10 years ago at Brooms and even as recently as 2015 shares were still going at close to 8k. In the last year we have invested in a new engine, rewired her, and in Feb will have new Teak effect carpeting thru out so a further investment but I doubt the current share price will go up to reflect this either. The fact is that the market value of the boat is not the only thing that impacts the value of a share that can be realised. Demand is one of the main drivers, affected by many things even the way the weeks are selected and where it is berthed. And how much money a Syndicate has in the bank!! 'B.A' annual running costs as of 2018/19. 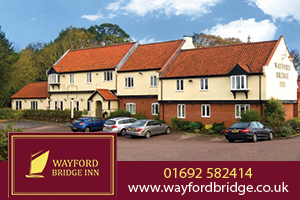 Moorings (Wet Shed), River toll, Insurance, 24 x Hr breakdown inc prop insurance come in at nigh on £3k per year. There are five shares in 'B.A' but only four shareholders - mysen, Bro', Capt Chaos and of course LondonRascal. (Capt Chaos - Both me and Bro have known him since 74-ish). There is a fifth share left over from 'The Admiral' mine and Bro's Dad who sadly left us during the five n a half year restoration. Myself and Bro' took on that share between us. So in Yorkshire speak (Straightforward stuff) that means that for every £100 that each share holder invests into 'B.A' then me and Bro' have to invest £150. The both of us do not get any benefits from owning that fifth share between us, no more extra time on the water etc. What we do have is an extra vote between us should we as a syndicate ever have differing views we have to put to a vote. In the sixteen years we have been 'B.A's custodians we have never to date had to use the voting system. If as a group we ever sold 'B.A' then we would enjoy a slightly larger return as her sale price would be split into five equal shares. Whew, that's got that lot explained. So we are still on £600 per share plus running costs, these cannot be pre determined. 2018 saw 'B.A' Crewed up for ninety one days. Not all of these days were spent out on the rivers some of them were maintenance weekends. You bend/break it - You fix it. That is, any damage whether the skippers fault or not is down to the skipper onboard at the time to make good on behalf of the other skippers. If you have to use the insurance - Do so but you will be responsible for the loss of the no claims bonus to make up the shortfall. So my costings weren't too far off then if you get a good group together and also able to do some of the work yourself. Looking at Griff's response, I'd say that more or less all of the remedial work is completed by the syndicate. If you were to get a small group of owners together, how many would wish to commit several days a year looking after the boat and keeping her looking good, or have the necessary skills. This includes compounding and polishing the gel coat, repairing any damages, servicing the gas system, heating, engine, gearbox, repairing or replacing damaged upholstery and other remedial maintenance etc. 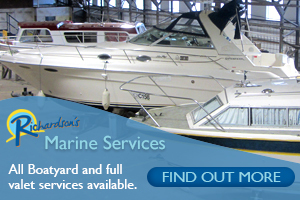 What would the cost of lifting the boat annually for cleaning be? With just 6 members of a syndicate, that's 10k to buy into it anyway, without an initial refurb (if required). 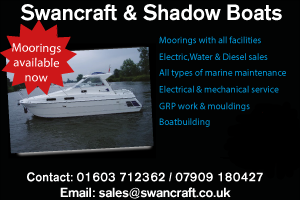 I know the maintenance figure for Moonlight Shadow appears quite high on the BCBM website, but that includes all maintenance costs, moorings, winter maintenance, cleaning and a contingency for unexpected costs arising. I realise that this will not suit everyone, but when I get holidays from work, I would rather spend my time cruising, not working on the boat. Personally, I think that a venture of this sort would be too easy to go into with rose tinted spectacles, without looking realistically at the potential pitfalls and your hypothetical costings look, to me at least, extremely low. Although buying an ex hire craft should guarantee that it has been regularly maintained, it almost certainly will have had a hard life. A very interesting thread indeed and Griff's points are well made. Clearly a base line for running a boat is around the 3k mark (depending on where you moor of course). The rest is basically what the owner(s) are prepared or able to do. Many owners get real pleasure and satisfaction about being hands on with maintenance and upgrades, which is fine. Others prefer to sit back and let others do it but of course this is when the costs start to mount up. Personally my Broads time is limited by a) my wallet and b) the time Mrs Nog can get off work. We don't drive so flitting down for a weekend or at short notice is a no no. Having read this thread through again, I've come to the conclusion we (personally) are better off hiring for the time being. There's no worries about the boat - like grandchildren, you can just hand them back. We like 10 day breaks if we can manage it particularly in winter which could be awkward in a syndicate. And I'd hate to have to base my holidays on the luck of the draw. 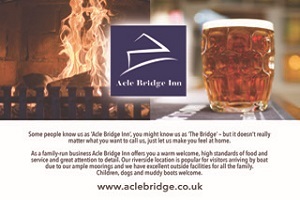 Also in winter hire costs are at their lowest so we get a good deal there. I think unless Swan Reflection 2 comes up for sale or those little numbers come up, we'll stay as we are!